We took part in our first World Book Day in 2017. Ethan had already been attending school for a few years but it was the first year that they decided to take part. Last year both children took part again, Ethan dressed as Harry Potter and Little E dressed up as Tinkerbell again. This year Matalan are helping us prepare and sent us Roald Dahl World Book Day Costumes for both children. The Matilda fancy dress costume is so pretty. I think it could easily double up as a party dress. Covered with glittery detail with a sparkle trimmed hem, it is very eye-catching. 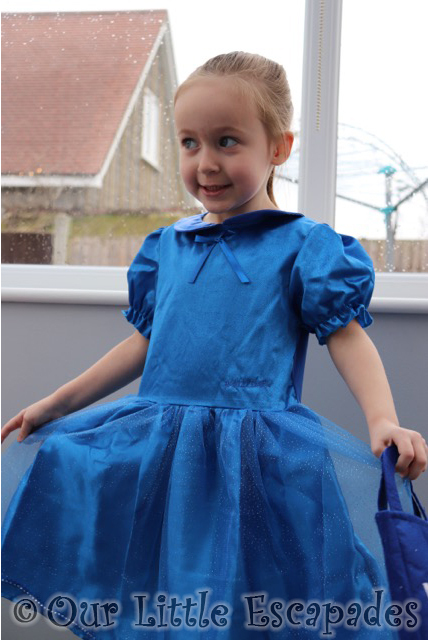 A very subtle Roald Dahl logo is embroidered on the bottom of the bodice of the dress in blue. The dress also comes with a Matilda Book Bag. There will be no mistaking who your child is when dressed to impress in this World Book Day costume. 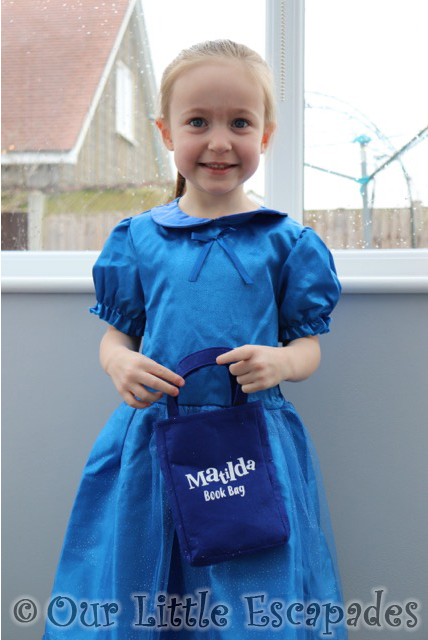 The Matilda World Book Day costume is available to purchase online from Matalan. It has an RRP of £16.00. 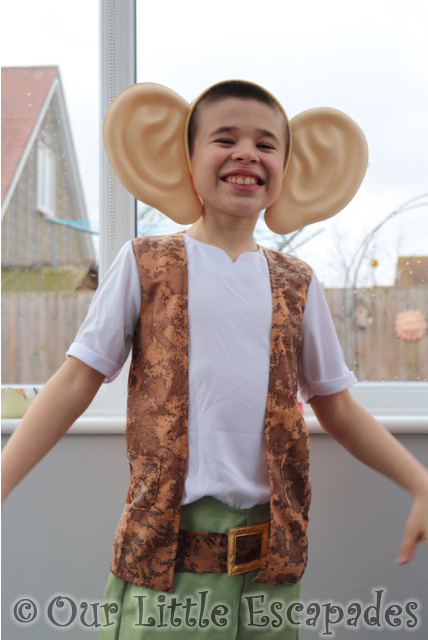 The BFG fancy dress costume will bring so much fun to World Book Day. With the BFG trousers and top, including waistcoat detail. The BFG’s iconic ears complete the look. Made from a soft foam like material and attached to a soft headband the BFG’s ears are comfortable to wear. The BFG World Book Day costume is available to purchase online from Matalan. It has an RRP of £16.00. Matalan has a large selection of World Book Day Costumes to choose from. 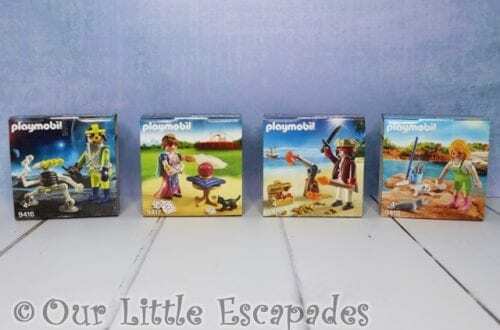 Available to purchase online from the Matalan Character Shop. What Do We Love About Our Matalan Roald Dahl World Book Day Costumes? I love the attention to detail with these fancy dress costumes. The detail on the Matilda dress really does make it a very pretty choice. 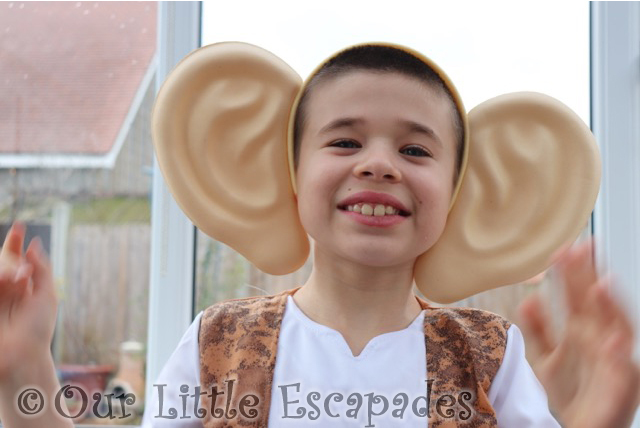 The BFG’s ears really did make us all laugh and are very comfortable to wear. Little E loved her costume choice and happily modeled it for us. Ethan was also happy to wear the BFG costume. The real test for him will be how long he wears in on World Book Day. He does normally surprise us. 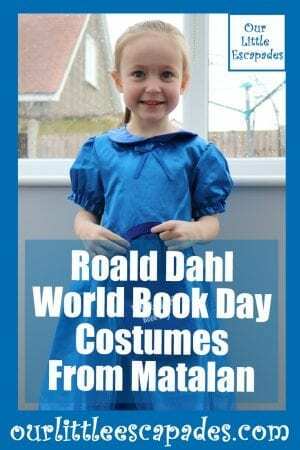 DISCLOSURE – We were gifted the Roald Dahl World Book Day Costumes From Matalan for the purposes of this post and to create our YouTube video. We always give our honest opinions, findings, beliefs and experiences of the products.